Two thieves broke into a swanky apartment and started to gather their loot, when one of them accidentally tripped the burglar alarm. In no time at all it seemed they heard sirens outside the building. To many people, superstition IS just a joke. And that includes hockey players, who belong to a group of guys who are of the most fetish-dependent in the world. Daniel Alfredsson once quipped: “I’m superstitious about becoming superstitious!” Other pucksters dismiss the whole concept as being ridiculous. Former Bruin Kraut Line winger, Bobby Bauer, in no uncertain terms, declared: “That’s one thing I’m dead set against. I don’t believe in such goings on!” Chicago Blackhawks’ captain, Jonathan Toews, does not have any. “They are for the weak!”, he stated. But, generally speaking, as one behaviourist maintains, “No section of society is more superstitious than those in the world of sports.” In fact, in contrast to the attitudes recorded above, it is reported that when Laurie Scott skated for the Rangers, he had two jujus: one was that he insisted on being the last player on the ice; and, his stick blades all had to point the same direction when stored. When Leo Reise Sr. rearranged them one day as a prank, he threatened to retire! The conviction that good or bad luck is controlled by certain actions or arrangements varies greatly from player to player. The time frame in which this dependence prevailed seems to reach back to the game’s fledgling days. Not surprisingly, the number 13 tops the list of talismans feared in the world’s fastest sport, even as it does on the civilian scene. The most common understanding concerning its origin takes us back to Bible times. When Jesus sat the table with his 12 disciples, the total present was 13—and that Judas Iscariot, who betrayed his Master, was that thirteenth person. But regardless, it has held sway over a vast cross-section of people for decades. The 13th floor of a building; the 13th guest at a table; and, of course, the 13th day—especially when it is a Friday, top the list. According to researchers, there have been over 90 NHL’ers who have dared to buck tradition and sport that numeral on the back of their sweater. In the early years of the league, especially, this was generally viewed as taboo—an invitation to bad luck. In 1921-22 Billy Boucher of the Canadiens seems to have been the first to test the threat of bad omens, though teammate Edmond Bouchard also wore that number for one game the same season. Clarence Boucher and Gizzy Hart followed in 1926-27, and Nick Wasnie took the dare in 1927-28. Jack Stoddard in 1951-52 is generally regarded as the first to make the break in the “modern” age of the game. The Rangers offered him number 12; but he had already become used to the “baker’s dozen” numeral, and insisted on keeping it. There are even exceptions to the triskaidekaphobia rule of thumb. On January 19, 1989, goalie Bob Froese celebrated enthusiastically when he registered his 13th career shutout. Two days later Carey Wilson marked the 13th straight game in which he had notched at least one point. Both considered themselves to have lucked out! It is not difficult to check out this tendency among current NHL’ers. Sidney Crosby, who is still considered the numero uno among pro skaters, leads the pack. His two main taboos are that he will not allow anyone else to touch his sticks; and he never calls his mother on the phone on game day. Brent Seabrook repeats a nine-word “mantra” (known only to him and the team’s trainer). He also eats seven Hershey Kisses candies before going on the ice. New York goalie Henrik Lundqvist taps the dressing wall with his stick once before heading out onto the ice before the first period; twice before period number two; and three time previous to the third frame. But meticulous steps to ward off bad luck are not new by a long shot. Tommy Phillips was a speed merchant and skilled back checker early in the last century—a star in his own right. He excelled with the Montreal AAA when they won the Stanley Cup in 1903, moving later to Ottawa, and finally to the Vancouver Millionaires of the PCHA. There he scored at a goal-a-game pace. Tommy insisted on sharpening his own blades with a little wet stone. If he saw a black cat he would go to almost any length to avoid progressing toward where the animal had crossed. Alex “Ottawa Fireman” Connell, who stood between the posts from 1924 through 1937 for four NHL sextets, set a record for consecutive shut-outs (6) in 1931, sewed a Saint Teresa Medal into his big pads. “Red” Dutton, who manned the blueline for the Maroons and Americans during the same time frame, had a pair of lucky long johns which he wore during his pay-for-play career. He would not permit them to be sent to the laundry, regardless of how “high” they got. If they were washed, he felt, it would break his chain of good luck. But his teammates didn’t share his conviction. So finally three of them stole them from his locker and burned them! The great Eddie Shore (in the NHL 1926-1940) has several superstitions. He would never allow a hat to be tossed on a bed previous to a game. He only wore blue shirts, and would never accept a two-dollar bill. He wouldn’t allow whistling previous to the first puck dropped, and, if a piece of equipment was damaged he would never fix it; but secured it “just so” for the game. Most of all, he was known for insisting that trainer Hammy Moore take his sweater off—and remained on quiet on his stool until he did. As this missive unfolds it will reveal that apparel enters the good luck/bad luck scene on several occasions. One of the earliest instances of this fetish involved Sparky Vail. A career minor-leaguer, he tried to crash the New York Rangers’ roster twice – the first time in 1928. Elevated from the CAHL Springfield farm club, he brought with him his habit of wearing a hat while playing. Lester nixed the idea, saying that it had no place in the big league. So, he dutifully removed the lid. But when he was demoted each time, he was certain that it was because he was denied the right to sport this headgear. Lifetime Bruin, Dit Clapper, kept a rabbit foot in his back pocket—secured by a safety pin. Their goalie, Tiny Thompson, determined to select the game puck; and, he waited until Cooney Weiland shot the puck into the empty net before he took his place. Milt Schmidt habitually glanced over his right shoulder when stepping onto the playing surface. Woody Dumart wouldn’t pull his sweater on until right on the dot of 8 p.m. He had it ready on his lap; and when the big hand hit the top, he yanked it over his head. As a defenseman, Ott Heller was not known for his goal scoring—he averaged about four per season. But as the 1938-39 season was winding down, he was concerned he hadn’t bulged the twine even once. He did lead all the Rangers rearguards in scoring, but all his 23 points were assists. So he sought to call in the favours of all the shinny good fairies. He was wearing two rabbit’s feet, a four-leaf clover, and an unmarked ace of spades. Typical of several pucksters, King Clancy always put a sock and skate on one side first—in his case it was his left side in the dressing process. One night, as he prepared for action, he was kibitzing around so much he failed to notice he had violated his own regimen, and encased his right side first. When a teammate drew his attention to it, he stripped and started the process again. The “Old Lamplighter”, Toe Blake, who was never seen without his fedora during his bench boss tenure, had a real fetish about his lid during his playing days too. The last thing he did before going on the ice was remove his hat. The first move he made in returning was to don it. In a strange twist of preferences, in 1948 it was reported that Ed Slowinski wanted no part of number 11. Apparently, “Babe” Pratt had managed sporting double ones, but others, like Joe Cooper, Gord Pettinger, Hank Goldup, and Vic Desjardins found a dark cloud of bad luck frowned on them while having that double digit on their back. Sturdy Pat Egan, one of the last skaters to represent the Brooklyn Americans, joined the cross-town Rangers in 1949. He made sure that he fired the old boot heel into the cage before goalie Chuck Rayner skated into the crease. But off the ice he was finickity about his hockey socks. He would never change them, even if they were on inside out or ripped. Once on, they stayed on for the duration of the night. As well, he refused to put his bare feet on the locker room floor. He wouldn’t take a step within those confines without wearing wooden shower shoes. His fetish created an ideal venue for a prank. One day his buddies nailed those clod-hoppers to the floor—with predictable results. For want of a better term, “amulets”—objects believed to bring good fortune—are very important to the peace of mind of some players, both past and present. Hall-of-famer and former Leaf captain, Syl Apps, carried a horseshoe in his equipment bag. It was all decked out with gaudy colours—a present from the Kitchener-Waterloo Collegiate. Conversely, in the 1950’s netminder Bobby Perreault used to kiss his ring each time he made a save. At first he would dig it out of his pocket and return it. Then he kept it in his hand, making it look like he kissed his finger each time. In the 1990s, Tom Chorske put great stock in a tiny wooden Buddha which he tucked into his shaving kit, taking it wherever he went to play. In February 2004, it was reported that Chuck Kobasew had a stuffed bulldog, which he used to pet and talk to. 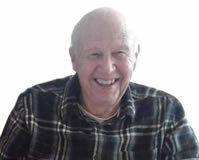 One of the weirdest shibboleths belongs to Bronco Horvath, another “Original 6” stalwart. Not only did he have to be the last player on the ice before the first puck was dropped, but he made sure that he had tapped a teammate on the cup before action began. Another shinny icon from that era was Stan Mikita. Apparently, he didn’t feel tobacco affected his conditioning, because he had a puff between periods on a regular basis. When he was finished, he tossed the butts over his left shoulder. Old time shot blocker, Bob Goldham, who toiled in the Big Time from 1941 through 1956, refused to shave before any game in which he was involved. That old tactic is very common among skaters of every era. One of the first to put stock in a furry puss was Joe Jerwa (Rangers, Bruins and Americans—1930 through 1939). On one occasion he had failed to use his razor for two days, and was razzed for his scraggly appearance by this mates. So, he shaved—and immediately had his face cut open in action. From that time on her never went into a game with a smooth face. The playoff beard fetish is well known. But apart from that, in 1991, Ranger Kris King determined that no razor would touch his face until he had managed one MORE tally after a long scoring drought. Several of his teammates joined him in his vigil. A little spin on that scenario involved Billy Taylor in 1942, while he skated for Toronto. During that famous Stanley Cup battle against Detroit, a sailor invited the “Kid” to tug at his beard. They promptly won those memorable four straight games and Lord Stanley’s famous mug. They decided to keep him around; and it was said when they made their first trip to meet their long-standing rivals, the Canadiens, they took him along. Vezina Trophy winner, Ed Giacomin, habitually made sure that he had a fresh stick of gum to chew during each game. But he refused to have it handed to him. It had to be placed on the team bench where he could find it and use it. It was the only way he would take it. Gary “Suitcase” Smith, who has been classified by some hockey journalists as a “flake” must have worn himself out when he was off the ice as well as on. His ritual was to remove all his goalie equipment between every period—as well as his underwear. He would sit there for a few minutes then start putting it back on. His feet got special attention—he wore 12 pairs of socks! (Speaking of socks—Cesare Maniago wore a sock with two holes in it. If he lost a game, he switched it to the other foot). Steve Shields, who graced the ice lanes three decades later aped this ceremony, disrobing after each frame, jumping in the tub, then dressing again. 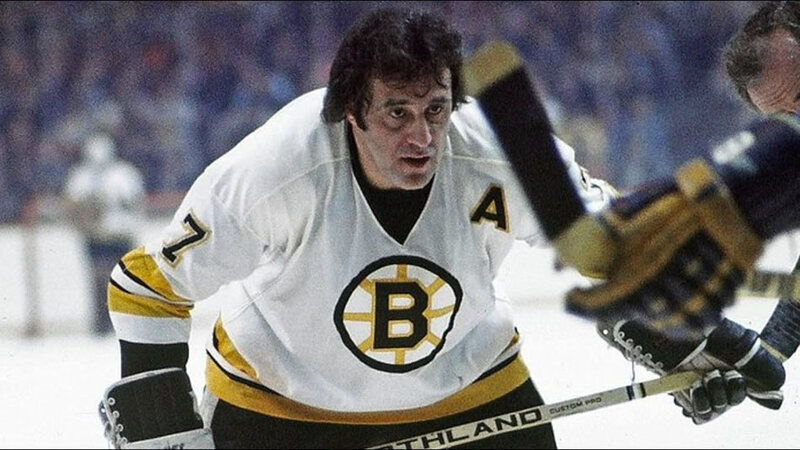 Phil Esposito possibly outdid everyone else with his jujus. For instance, he wore the same black tattered T-shirt, inside out and backwards, under his sweater. He wore a St. Christopher medal under his pants braces, and would never allow anyone to cross sticks in the dressing room. In the late 1970s, when Billy Inglis was coach in Buffalo, he constantly faced a thorny dilemma. Both Ric Seiling and Jerry Korab shared a common conviction about a good luck ritual. It involved tapping their goalie’s pads before the contest got underway. One night both determined they would have the last swat, and a kind of merry-go-round ensued. Only when Inglis yanked one of them from the ice was the problem solved. For some players, timing is everything when it comes to having the fates smile upon their efforts. Both Jocelyn Thibault and Bob Essensa were adamant about their rituals. The former poured water on his own head six and a half minutes before game time. The latter donned his mask four minutes and three seconds before the start of a period. Then he headed out of the dressing room when there was precisely one minute and forty-three seconds left in the intermission. **Gordie Howe had a certain pair of undershorts. If they won a game, he would put them away and bring them out the next time they played. **Bobby Orr would never leave the dressing room without patting one of his teammates on the shoulder before a game. Space neither permits profiling the seemingly endless list of jujus; nor is there room for some of the stances NHL bench bosses took to persuade magic to attend their efforts. But we would be remiss not to make reference to one consistently perceived bad omen—which spilled over into the ice arena from the civilian venue—the curse of black cats. Strangely, there were two instances where shinny icons considered a tabby to be good luck charms, contrary to popular opinion. Both go back to the league’s early days. Commencing in 1926, Cecil Hart took over the reins of the Montreal Canadiens. He held a strikingly unique view of black cats—he considered them to be LUCKY! So he procured one “for the good of the team”. One night, however, the spell was broken—and both for the Habs and the puss—the tide turned. It seems that his feline filibuster got into a parcel of brand new team sweaters. He not only clawed them considerably, but because he was not housebroken, he made some other unwelcome contributions as well. Tout finis! But Westerby disagreed, and it stayed for a few years. But an “accident” happened, and the cat was killed. Just at that time, the Blueshirts went into a slump; and Harry moaned that the team had been unable to win since the unofficial mascot’s demise. And so it was that another kitten was brought in to replace “Ranger I”. It had been tearing up the owner’s furniture at home, so it wasn’t a great sacrifice to make the donation to the team. Thus it was adopted as the new “mascot”. A miniature sweater was knitted for it, and there was a presentation at centre ice. The newspapers nabbed the story and pictures appeared on sports pages. And, sure enough, the Broadway-ites won the first game since the original tabby was killed.